Smack your lips tips for Valentine’s Day…OH MY! Cupid’s arrows of romance spread the language of love. What better way than with the romantic gift of wine, or possibly the sumptious sensual gift of pairing wine and one of life’s other greatest pleasures, chocolate and wine together! Or… now with a variety of savory and sweet handmade “with-love” bisquits created especially for red, white and sparkling wine heavenly matches! https://www.thewineladies.com/wp-content/uploads/2013/01/valentineredbagheart.jpg 2113 1753 Susanne Seelig-Mense https://www.thewineladies.com/wp-content/uploads/2017/08/WineLadiesLogoTransparent.png Susanne Seelig-Mense2013-01-28 20:02:372013-01-28 20:02:37Smack your lips tips for Valentine's Day...OH MY! Wine and Cheese can be a little bit like been-there, ate-that! But an assortment of sweet and savoury cookies to pair with red, white or sparkling wine? That works! New to The Wine Ladies online store! Check out the full offering of Cookies & Corks here! Cookies & Corks provides a unique tasting experience. Our natural, gourmet, sweet and savory cookies are crafted to pair with wine and contain distinctive ingredients like apricot, sage, dark chocolate, espresso, lemon, and sea salt – all perfect complements to the great wine varietals. 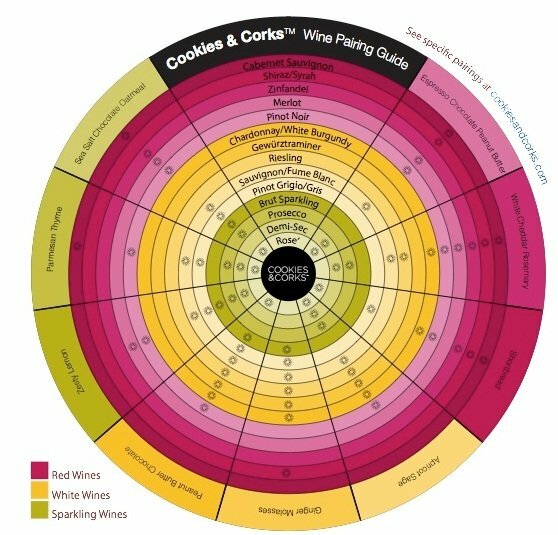 Our custom cookie and wine pairing guide makes selecting the perfect bottle of wine to match a box of our cookies a breeze. 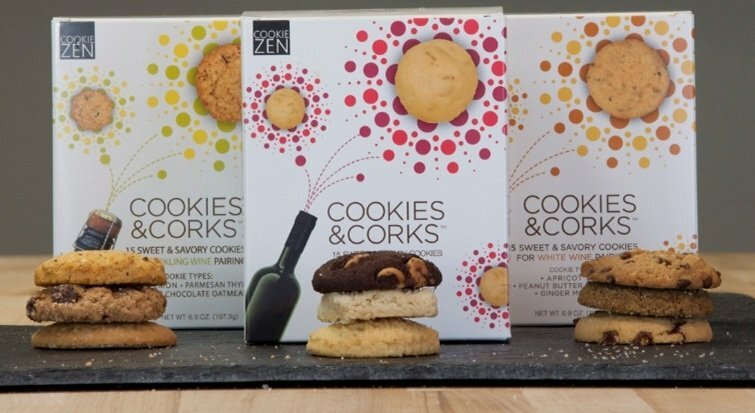 Whether given as a gift or used at a party, Cookies & Corks engages everyone as they experiment with different cookie and wine combinations. Nibble, Sip, Savor! We encourage you to have fun pairing our cookies with your favourite wines, or use one of our pairing recommendations. But no matter how you mix or match. a dynamic combination of flavours show up to delight and entertain you! VIP Wine and Chocolate Tour with The Wine Ladies, a decadent day of two of life’s greatest pleasures together! 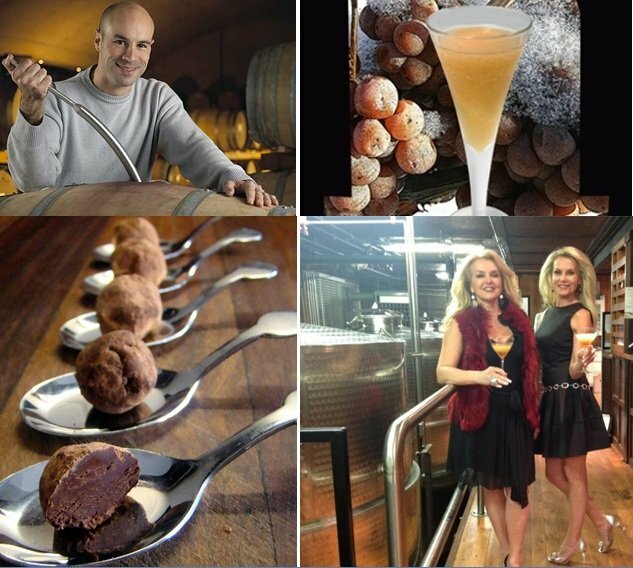 Three spectacular wineries, exclusive tastings, private Barrel Cellar tasting and luncheon plus a Chocolate truffle workshop, Icewine Slushies and more! 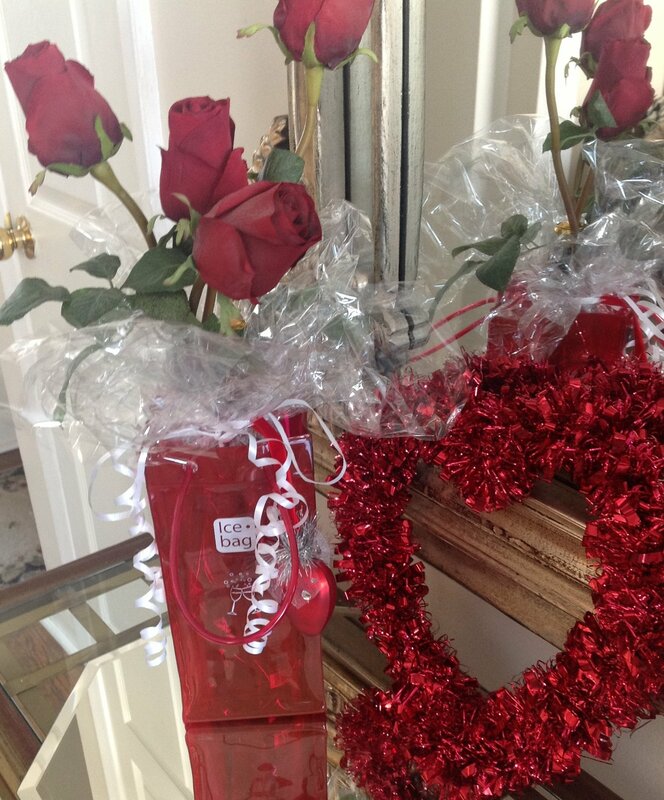 RECEIVE $15.00 in The Wine Ladies $ GIFT CERTIFICATE to spend on The Wine Ladies Online store. A special gift bag filled to the brim with lots of goodies too. Buy your VIP ticket here now. Explore the decadently sweet and savoury art of wine and chocolate pairing. Visit 3 spectacular Niagara-on-the-Lake wineries, personally selected by The Wine Ladies and taste a selection of stunning VQA wines paired with chocolate-infused dishes – from classically sweet flavour combinations to unexpected surprises. For chocolate lovers and foodies a like, a perfect day for a romantic celebration for two, group of friends or a girls’ getaway! Everything for your day is included in our pricing from first class transportation, to exclusive tastings, a spectacular lunch in the Barrel Room of Jackson Triggs Estate Winery with VQA wines, led by celebrity wine maker Marco Piccoli and Executive Chef Tim Mackiddie. Chocolate workshop to be led by David Levy, Founder of Chocolate Tales, infuse an decorate your truffle to your heart’s content! While riding back in style and sipping on sparkling wine, unveil your loot bag filled to the brim with goodies, and pay attention, you may hear your name called as a winner of one of the fabulous multiple prizes! Fresh baked goodies and coffee from Whole Foods Oakville will await you as you board, and set off for a spectacular wine and culinary adventure! So grab a few friends or your partner and make this year’s Valentine’s Day extra special! Be greeted by a glass or two of JT Sparkling wine, upon arrival. 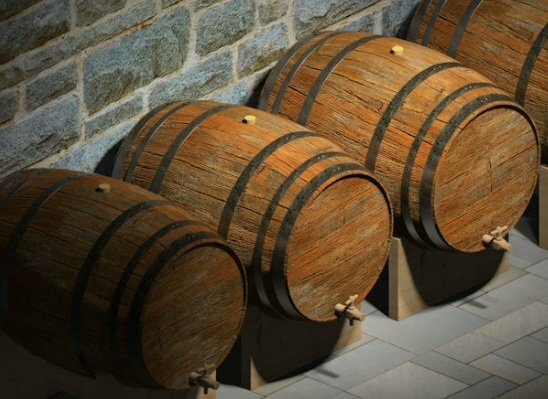 Then meet celebrity wine maker Marco Piccoli who will take you on a winery tour and then lead you through an exclusive seated tasting in the stunning barrel cellar. Following the tasting, Executive Chef Tim Mackiddie will share a few words on his inspiration behind the spectacular lunch menu we are all about to enjoy, all recipes reflecting the theme of wine and chocolate. Tasted wines will served throughout the lunch. Though Pondview Estate Winery itself is new, the Puglisi family has been growing grapes since the 1970s. As a testament to the quality and craftsmanship put into each bottle of wine, Luciano (Lou), was crowned 2008 Grape King, a Ministry of Agriculture award for the finest vineyard operator in Ontario. Meet the 2008 Grape King and enjoy a personalized tasting to include a range of award winning VQA wines, including one spectacular wine and chocolate inspired pairing! Meet the winemaker Jamie Macfarlane and his partner and fellow proprietor Karen. Specializing in icewine, often referred to as Canada’s “liquid gold” Jamie and Karen’s boutique winery was recently featured on Dragon’s Den, showcasing their specialties which include their ever popular Vidal Icewine Slushie. Simply divine, we’ll enjoy this unique and delicious cocktail paired with a dark chocolate, cherry, almond and ginger treat. Other tastings will include icewine cocktails with a nod to Valentine’s Day with red raspberry, pomegranate and possibly even rose petals making an appearance. The Ice House is the perfect spot to toast a special occasion, and bid adieu to a completely wonderful day of adventure for our palates! https://www.thewineladies.com/wp-content/uploads/2013/01/chocolateandwinetourfeb24th2013.jpg 568 633 Susanne Seelig-Mense https://www.thewineladies.com/wp-content/uploads/2017/08/WineLadiesLogoTransparent.png Susanne Seelig-Mense2013-01-18 18:00:522013-01-18 18:00:52VIP Wine and Chocolate Tour with The Wine Ladies, a decadent day of two of life's greatest pleasures together! 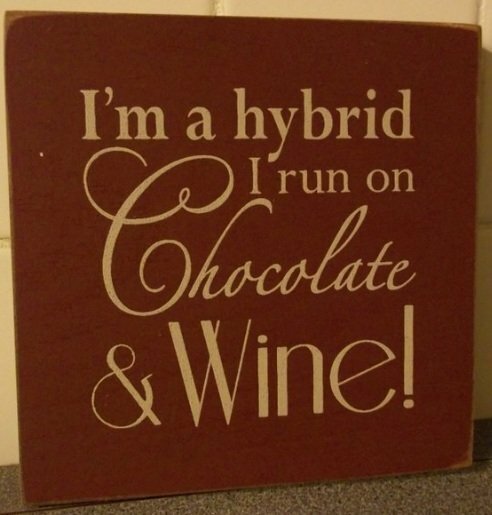 I’ve heard you talk about enjoying wines with chocolate many times and have dabbled in finding appropriate pairings. I’d love to throw a small party featuring the two but am not really sure where to begin. Could you offer me a couple of suggestions as to how many wines and how many types of chocolate I should offer, as well as the format the evening might take? I tasted a delicious Vidal Icewine which I learned was aged in oak. Is this typical? Are Icewines ok to age or should they be consumed when young?